But what makes Fat Tire really special is simpler. We answer to our co-workers and our drinkers, not shareholders. Water, malt, hops and yeast. Fat Tire uses only the best ingredients. Multinational big beer corporations are about one thing: the bottom line and quarterly earnings. Giant factories mass-producing products that cut corners. Industrial additives like corn syrup? Big beer uses plenty of these so-called adjuncts. 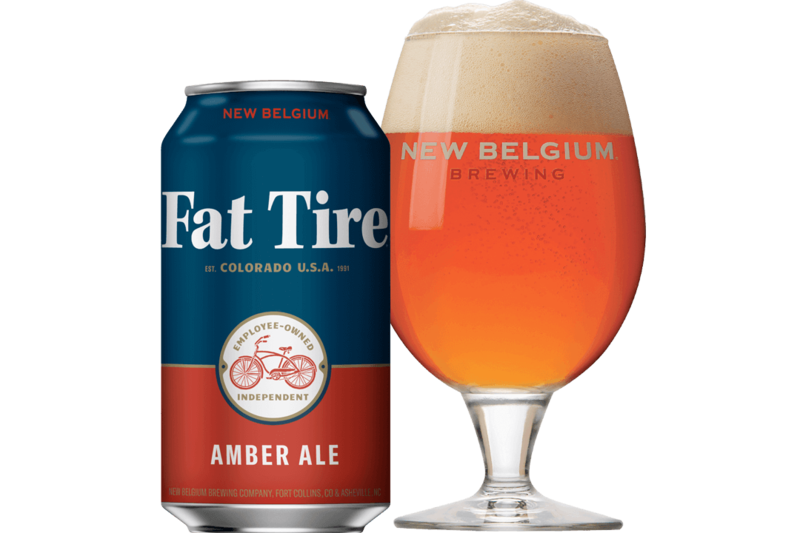 Even though Fat Tire’s popularity has grown over the years, it’s still brewed in small batches at our two breweries located in the mountain towns of Fort Collins, Colorado (where we started), and in Asheville, North Carolina. In both places we welcome visitors with open arms and love taking them behind the scenes to see how our beer is made. We brew Fat Tire with the same high-quality, natural ingredients we used in the original recipe – no weird additives or industrial fillers that many big companies use. You won’t find a lot of bells and whistles or exotic hop combinations either, just an easy-drinking Amber Ale that’s stayed true to its roots for over 25 years. Know that all of us employee owners think of you as we make Fat Tire. Enjoy!